New book, 80 pages with 51 colour and 5 black & white pictures, 33 tables and one map. 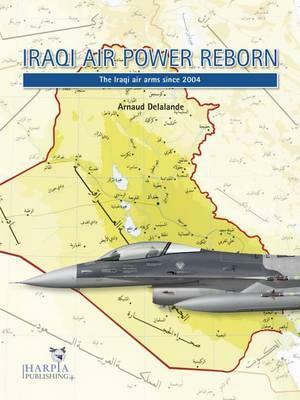 Iraqi Air Power Reborn provides the most authoritative account of the Iraqi air arms in the years following Operation Iraqi Freedom. In the space of over a decade since Harpia Publishing presented its groundbreaking and ever-popular Iraqi Fighters, the Iraqi Air Force has undergone an unprecedented transformation. Having been almost entirely decimated by coalition air strikes in 2003, and during the insurgency that followed, Baghdad has set about rebuilding its air power from scratch. This book summarises the history of the Iraqi Air Force and its various incarnations until 2003 before detailing the efforts to establish a new-look Air Force, which began with training formations, before	adding transport and reconnaissance squadrons, and finally attack and fighter squadrons. Coverage also extends to Iraqi Army Aviation, and its various transport, special operations, armed reconnaissance and attack squadrons, as well as the latest air operations against the so-called Islamic State. This item was added to our catalog on Saturday 25 June, 2016.